Do you take an interest in beauty, hair and skin care? 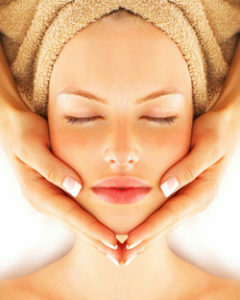 There are many different beauty therapy courses that you can study. If your dream is to own a salon one day, then you should continue to read this article. In this course, you will gain a thorough knowledge of the beauty care industry. And also the skills to become a successful beauty technician. It is an advanced course that covers a wide range of beauty subjects. It includes Facial Skincare and Nail Care subjects. You can complete this course in 24 months. This course covers most beauty therapy subjects. There are a few management subjects that will equip you with the skills to manage a salon. Did you know that taking care of your nails could prevent ingrown nails, fungus and other health issues? Taking care of your nails is necessary. With these courses, you will learn the basics of nail care, and the skills to make manicures, pedicures, and nail enhancement treatments. This course consists out of four subjects. It teaches you the fundamentals of Nail Care, the application of it, and professional salon skills. The entry requirement for this course is Grade 10. A course that fuses Nail Care knowledge and application, with entrepreneurship and business networking fundamentals. This course will lead you to success. 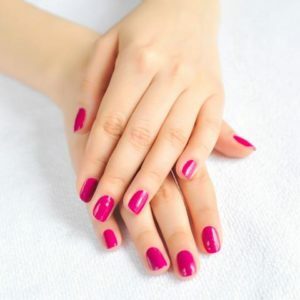 This course consists of six subjects that will teach you all the necessities of Nail Care. The skills that you will gain will help you build a long and successful career in this field. The Make-up Application courses are about how to apply makeup. You will learn different application techniques. A short course that teaches you all the fundamentals of make-up application. You can do this course within a 9-month period. It is the most advanced makeup application course we have to offer. An ideal course for any individual that wants to pursue a career in makeup. Only requires Grade 10 to start. A more in-depth course that equips you with all the needed knowledge to excel in the world of make-up. This course takes 15-months to complete. If you are more interested in how to take care of your customers face, then look into our Facial Skincare courses. You will learn about different skin types (oily, dry, combination), and learn about face treatments and ingredients in products. A short course that teaches you all the basics of skincare. You can complete this course within a 9-month period. This is ideal for any individual who wants to become an expert in this field. The course only requires Grade 10 to start. This is suitable for the individual that wants to pursue a full-time career in Skincare or general beauty therapy. It is a standard Facial Skincare course that we offer. Beauty therapy is the treatment of hair, skin and nails. The purpose of it is to enhance appearances and to repair the damage of skin cells, hair follicles and so forth. The treatments can include massages and other body relaxation exercises. Most of these treatments take place in salons, but some also do it at home. Why Study Beauty Therapy Courses? improve your earnings – many people are willing to pay good money for effective beauty treatments. Formal recognition of the knowledge and skills that you gain could increase your credibility in the eyes of both clients and employers. We offer the following beauty therapy courses. It ranges from Nail Care, Facial Skincare, make-up application and Salon Management. How do you get Started With Beauty Therapy Courses? Choose a Beauty Therapy course that you want to pursue. If you are not sure, get in touch with our friendly course experts. They will help you with more information. Then you can register with us. Where can you Work as a Beauty Therapist? You can find more jobs here. Contact us today for more information on our toll-free number 0800 39 00 27.